connect is a string specifying the physical connection of the LCD display to the board; valid values are "X", "Y", "XY", "YX". Use "X" when the display is connected to a pyboard in the X-skin position, and "Y" when connected in the Y-skin position. "XY" and "YX" are used when the display is connected to the right or left side of the pyboard, respectively. pwr is a Pin object connected to the LCD's power/enabled pin. 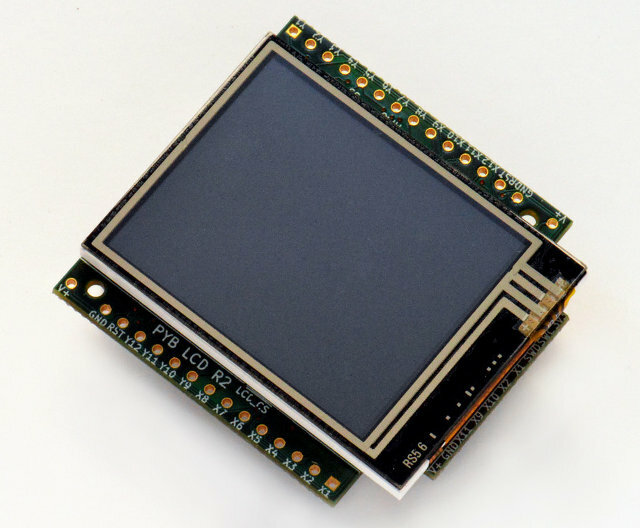 i2c is an I2C object connected to the LCD's I2C interface. spi is an SPI object connected to the LCD's SPI interface. 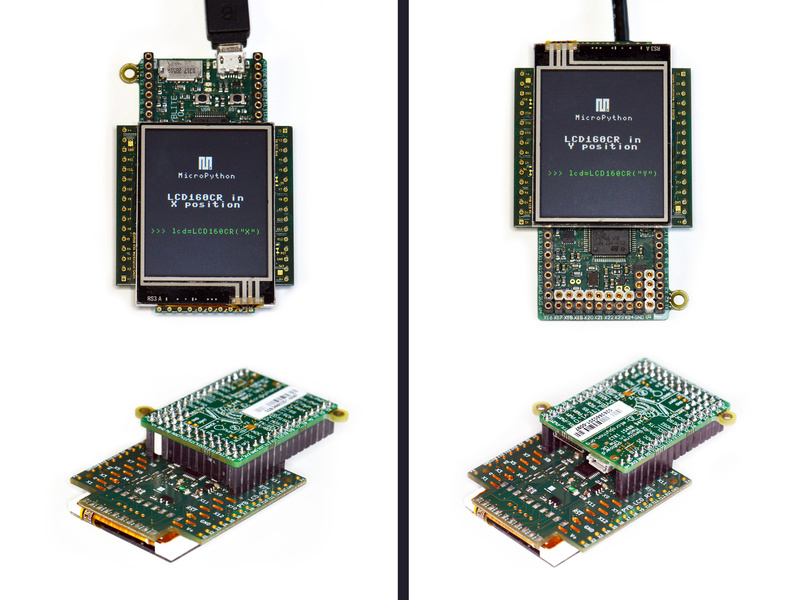 One must specify either a valid connect or all of pwr , i2c and spi . If a valid connect is given then any of pwr , i2c or spi which are not passed as parameters (ie they are None ) will be created based on the value of connect . This allows to override the default interface to the display if needed. Turn the display on or off, depending on the given value of on : 0 or False will turn the display off, and 1 or True will turn it on. Set the orientation of the display. The orient parameter can be one of PORTRAIT , LANDSCAPE , PORTRAIT_UPSIDEDOWN , LANDSCAPE_UPSIDEDOWN . Set the start-up decoration of the display. The value parameter can be a logical or of STARTUP_DECO_NONE , STARTUP_DECO_MLOGO , STARTUP_DECO_INFO . Get a line of pixels into the given buffer. Dump the entire screen to the given buffer. To draw text one sets the position, color and font, and then uses write to draw the text. scale is a scaling value for each character pixel, where the pixels are drawn as a square with side length equal to scale + 1 . The value can be between 0 and 63. These methods are as above but don't do any clipping on the input coordinates. They are faster than the clipping versions and can be used when you know that the coordinates are within the display. x , y , w , h specify the location of the window in the display. The first call to this method will start the display's internal watchdog timer. Subsequent calls will feed the watchdog. The timeout is roughly 30 seconds.